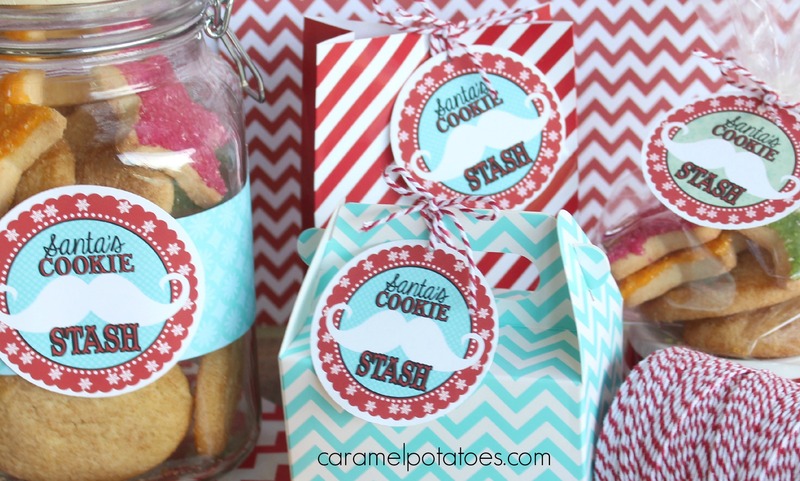 This week we are all about Cookies here at Caramel Potatoes – because is it really Christmas without cookies in the celebration? So far this week we have brought you two yummy cookie recipes you really need to put on your must bake list: Chocolate Chip Toffee Bars and Andes Mint Chocolate Chip Cookies. 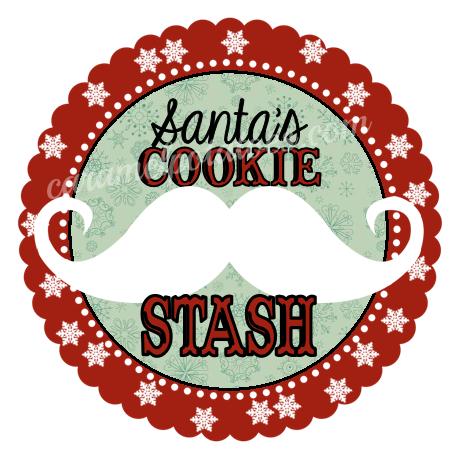 Be sure to check our Recipe Box for lots of other dazzling cookies to try also. 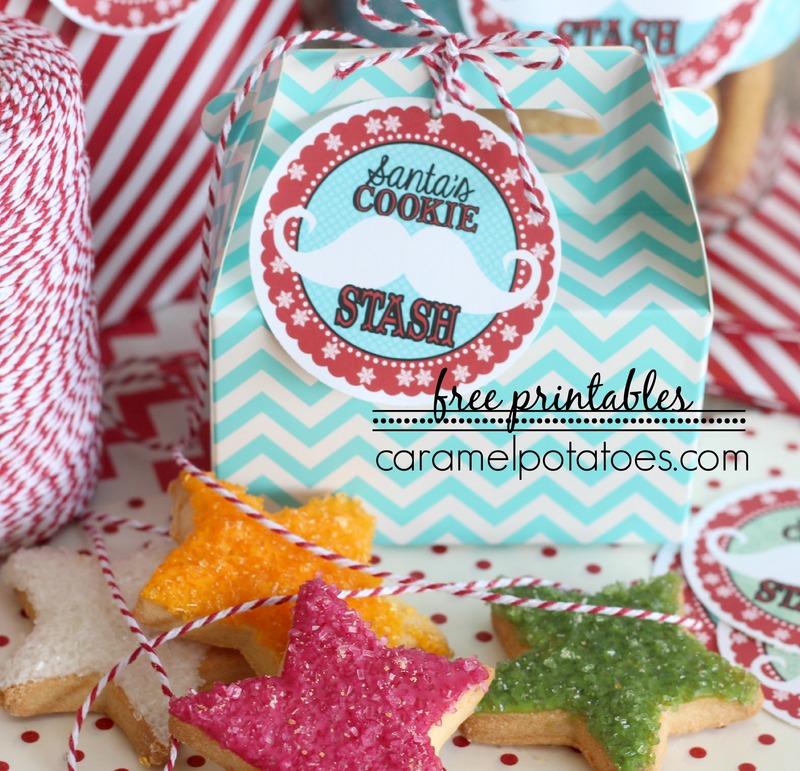 Of course this is the season of giving, so if you feel the need to share some of these tempting treats with your friends and coworkers, this “Santa’s Cookie Stash” printable tag will surely add a plenty of “HoHoHo” to your gifting! Keep watching, we’ve got more tempting recipes coming up this week . 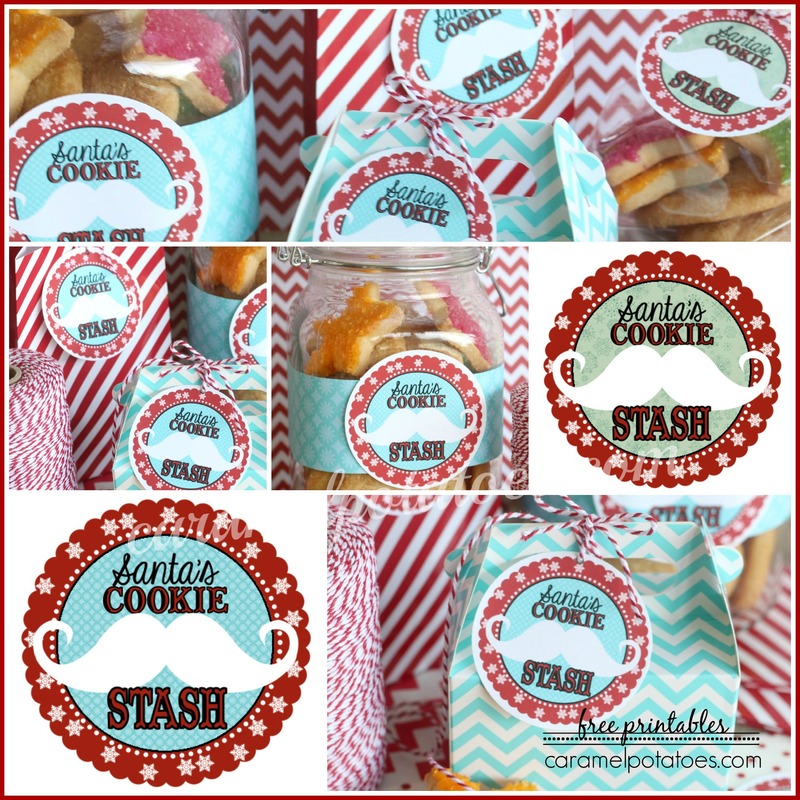 . .
Just Bake, Wrap, Print, Tag, and Share – then just wait for the smiles – because who doesn’t like getting cookies! Enjoy the baking, the tasting, and the sharing! I love this. 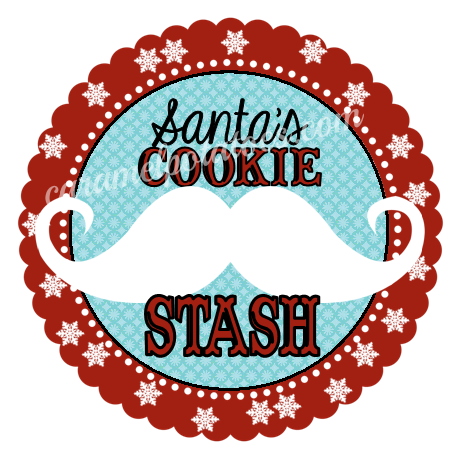 I’m going to use these for my cookie boxes! 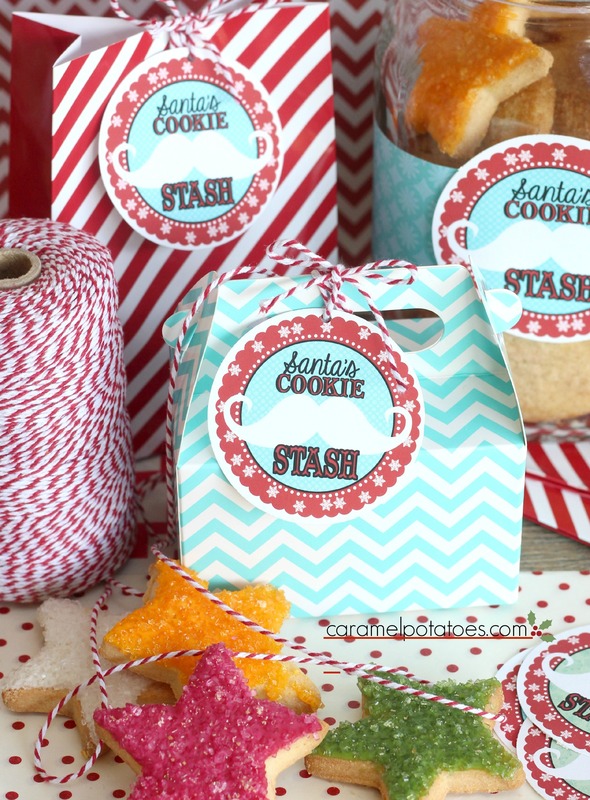 found these adorable tags just after Christmas, a fab addition for next years cookies, thanks so much….